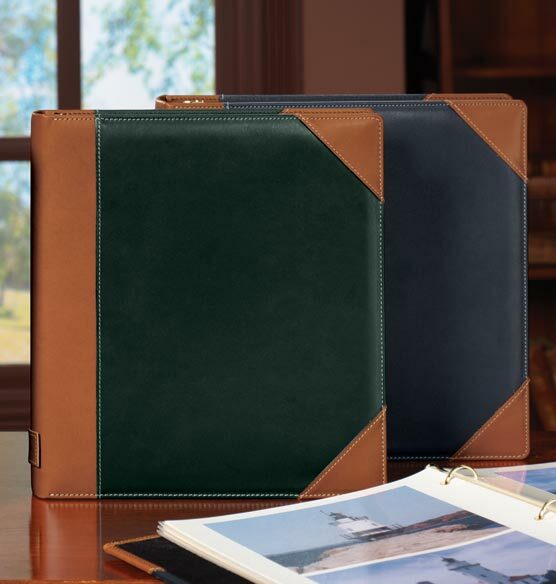 Classic good looks with sporty detailing define this leather photo album. With spines and corners wrapped in saddle tan leather and offset with white top stitching, this is one photo album you will be proud to display. I have 10 of these albums and the new one I received today is of lesser quality than the others. Not only is the binding leather much browner in color than the other, which I understand dye lots can vary but it is quite noticeable. The worst part is the binding leather is not soft like the other 9 that I have ordered through the years. It has a hard plastic feel but still the high price tag. Not sure if I will continue to order these when this album fills up. I have been purchasing these quality albums for years. They look beautiful on my book shelves, and look as nice today as when I first purchased them. based on reviews and met my capacity needs. The photo album is very fine quality. 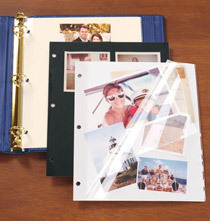 You can include photo pages that accommodate many different sizes of pictures, which is perfect for either vacation photos or family photos. It's what my wife wanted. Avoid photographer who takes lots of pictures. She already has three of these. 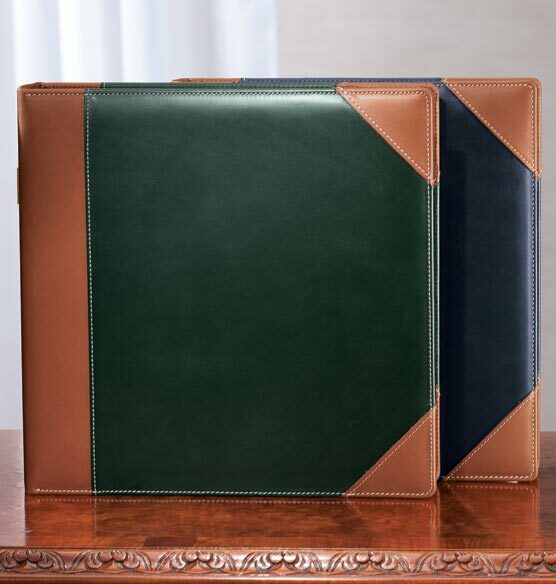 This album is of superior quality, from the leather binding and top stitching to the suede lining and sturdy 3-ring closure. My great-nephew is graduating from High School and starting his college. He can keep his memories here. The quality of the albums and the extra-capacity are the reason I purchased these albums. These albums are beautifully made and are sturdy enough to hold 40 pages filled with photos while maintaining the look of a finely crafted album. I have 7 of them and even the ones I purchased years ago still look brand new. 1. How many pages can be placed in the album? 2. Can you purchase extra pages? 3. Are the pages archival quality? BEST ANSWER: Thank you for your question. 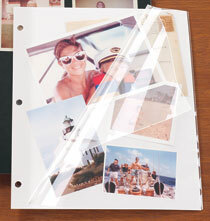 Pages are sold separately, it will hold up to 70 – 3-ring photo pages (6-7 sets) and the pages are archival. We hope this information will be of help to you. BEST ANSWER: Thank you for your question. Please search for item 300780 for the personalized ivy league album. We hope this information will be of help to you. BEST ANSWER: Thank you for your question. Please include the source code from the offer on your paper order. Do not forget to include the $1.99 processing fee. We hope this information will be of help to you. BEST ANSWER: Thank you for your question. 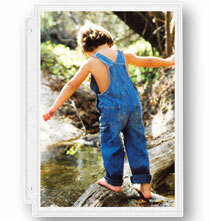 A spine patch is available for this product. We hope this information will be of help to you. How many sets of black pages should i order? BEST ANSWER: Thank you for your question. 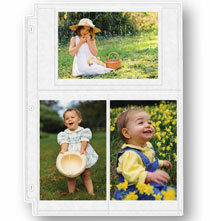 This albums holds up to 70 – 3-ring photo pages (6-7 sets). We hope this information will be of help to you.